School is right around the corner and many families are getting settled into new neighborhoods with new schools. 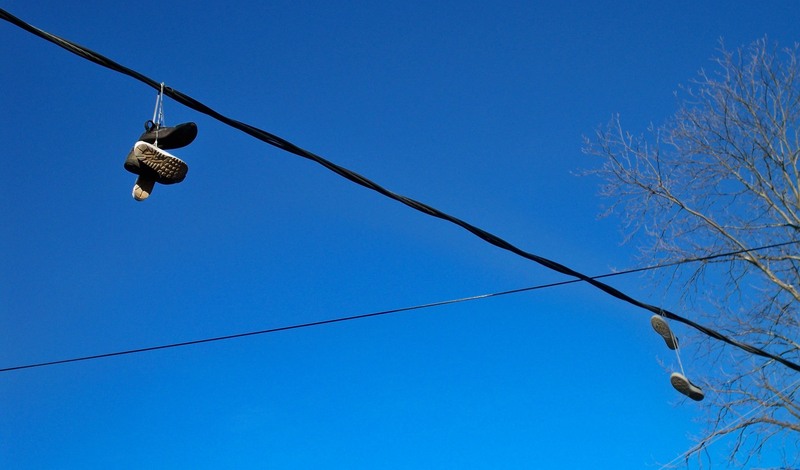 With so much activity, it’s easy to miss some signs of undesirable neighborhood activities, such as sneakers knotted together by their shoelaces dangling from utility wires. Shoes left outside in the yard or on the porch for an unusually long time are among the many signs that your property may be more susceptible to crime. The presence of drugs, guns and criminal mischief creates an unattractive—and sometimes dangerous—problem that usually leads to high resident turnover. Brent Sobol of Legacy Community Housing Corp., and former undercover police officer and real estate investor Mike Butler say a crime-free property and neighborhood funnels positive results to the bottom line. Resident retention is higher and insurance premiums can drop. A landlord’s power of the lease is often a good defense to keep undesirables away. Oftentimes criminals take a possible eviction more seriously than being arrested, Sobol and Butler say. Walk your units at least twice a year, don’t tolerate unauthorized occupants and use “knock and talk” technique with police. Also, ask suspicious people who aren’t residents to leave. Sobol recommends a lease define the number of days visitors are allowed to stay in an apartment before they must be added to the lease or are considered trespassers. If this is violated, do not be afraid to take the necessary legal steps to evict that resident. Condition residents to follow lease terms. Use infraction notice forms to document incidents or build a case. Graffiti attracts negative attention. Remove it quickly, and vandals will likely stop doing it. Area landlords are likely experiencing similar issues, so reach out and make friends. While a competitor, your peer could become an asset in helping eliminate undesirables from the neighborhood. Prosecutors and police department personnel can and want to help you develop ways to deal crime issues. Start or participate in a neighborhood watch program or get involved in a National Night Out in your community. Keep the neighborhood clean and kept even if it means mowing a vacant lot or median or picking up clutter near your property. Straighten that crooked street sign and report code violations. An unattractive area signifies that those living there may not care enough to improve the surroundings and beckon undesirables. And watch out for those tennis shoes.